This might be the starting XI for the Indian cricket team for the 2nd T20I against New Zealand! After losing the first T20I, India will go to Eden Park with the hope of keeping the series alive. The visitors were completely outplayed in the first game, and the second match gives them an opportunity to right the wrongs and a chance to see if their bowlers can hold their own in tough situations. 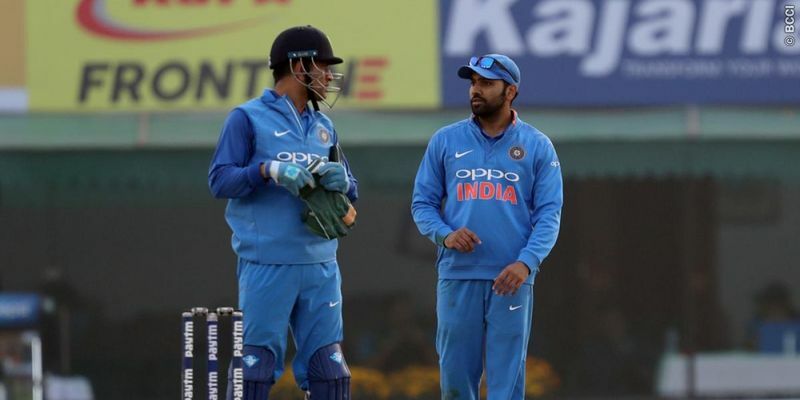 Rohit Sharma: The first game was a disappointing one for the stand-in Indian skipper, who failed both as a captain and batsman. His bowling changes were never on point and when he had a chance to redeem himself through his batting, he couldn’t do that either. The Auckland T20I is a do-or-die encounter for the Indians and they will indeed need their skipper to fire on all cylinders. Shikhar Dhawan: The southpaw, who scored 29 runs in the first T20I, was done by the sheer pace of a Lockie Ferguson yorker. The worrying factor for India was that he struggled against Tim Southee, against whom he had a history of his own, and he should try to get rid of that mental block to land a haymaker in New Zealand. Vijay Shankar: Just because of the fact that he was promoted to the No. 3 spot speaks volumes of the Indian team management’s trust in the Tamil Nadu cricketer. He did live up to the faith with a quickfire 27, but will want to score a big one in the next assignment so as to put himself ahead of others in the pecking order for the World Cup. Rishabh Pant: One more T20I, and one more failure for Rishabh Pant. He has made himself such a mercurial character that no one really knows of what to expect from him. He brings the balance to the team as a proper batsman, but the thing is sooner than later, he needs to perform like one as well. MS Dhoni: His presence is enough to instill the fear of God in the opposition's heart. MSD’s second coming as a batsman was exactly what India wanted and now that he is in the zone, expect him to deliver on whatever is asked of him and more. His cunning presence behind the stumps is also one of the reasons why India needs him more than ever, especially in the largely unforgiving New Zealand surfaces. Dinesh Karthik: The Tamil Nadu player had a forgettable outing in Wellington as he dropped two catches and couldn’t score as well. However, India have been backing him as their finisher for the World Cup now and it will be really surprising if they decide to drop him for any of the games. Hardik Pandya: Pandya conceded runs at 13 per over and only managed to score four runs, but he is very much capable of reversing the tale in Auckland tomorrow. Considering Eden oddly shaped and a tough ground to defend, his batting would be a huge help for India. Krunal Pandya: The senior Pandya picked up only one wicket, but he couldn’t be faulted for that as two catches were dropped. He redeemed himself by scoring 20 runs, and he will have a much bigger role to play in the second game. The all-rounder, however, needs to maintain his length better so as to keep himself safe from being dropped. Bhuvneshwar Kumar: His lengths were off and he was bowling like he just had to finish the overs. There was no penetration whatsoever - something that was not the case in the ODI series. The case of his injury management is getting strange day by day and tomorrow he will have to prove that everything is alright with the world. Mohammed Siraj:Khaleel Ahmed’s disappointing line and length may force the team management to try out Siraj ahead of the left-arm pacer. Siraj has always been expensive whenever he got a chance in the Indian team, and the Auckland may not help him much in that regard. If he can give some early breakthrough, that will be an immense help for the team. Yuzvendra Chahal: The leg-spinner conceded runs at 8.75 runs per over and resorted to bowling with a 6-3 fieldset to contain runs instead of picking wickets. Kuldeep Yadav’s absence meant he will have to be the wrecker in chief and shouldn’t let the small boundaries affect him to go for the kill.